Don’t worry Pete, I’m pretty clueless with this stuff too. You need to ask yourself if the clue is metaphorical or descriptive. If this one is metaphorical I’ve got no idea. If it’s descriptive it could be something square and thin. Like a JLC Reverso or something like that. I’ve just flipped my 5610 and my Protrek is getting ready for a new home, but feck me I thought the Protrek was big! 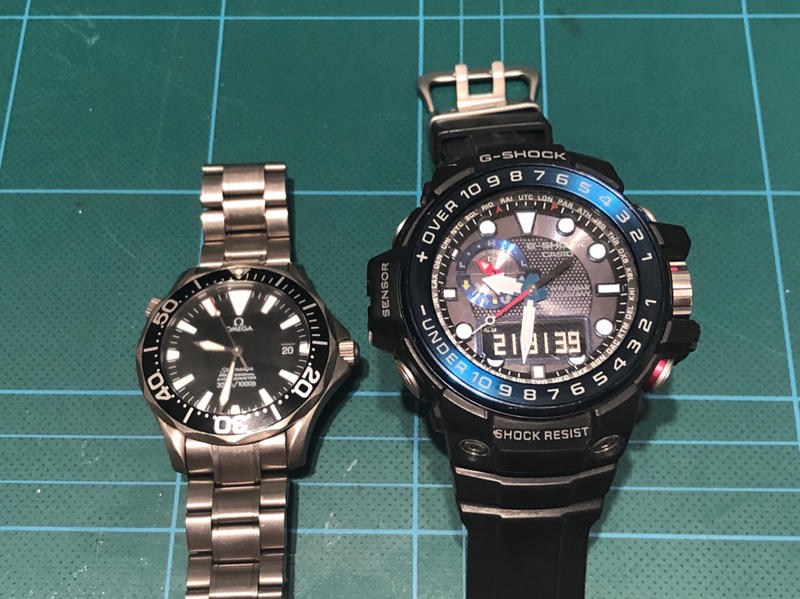 The major downside of the Gulfie compared to the Protrek is the inability to plonk on a NATO/Zulu but the plus is that it has hands... and surprisingly enough for a Casio the lume lasts all night! wooah! Andre the giant sizing? I really really want a Gulfmaster. I tried one on in JR Duty Free when they first came out and it was soooo comfy. It’s got a great feature set too, definitely one of the best G-Shocks. Not for desk drivers with shirt cuffs. Haven’t had a chance to wear it for a whole day yet but I’ll let u know how it goes! Great feature set. Everything the Protrek has but just the added advantage of hands. I did prefer the Protrek’s moon display, the Gulfie just tells you the age in days so double mental requirement there. But a small sacrifice. This is the V1 and I picked it up used in pretty good condition with box etc. at a good price. 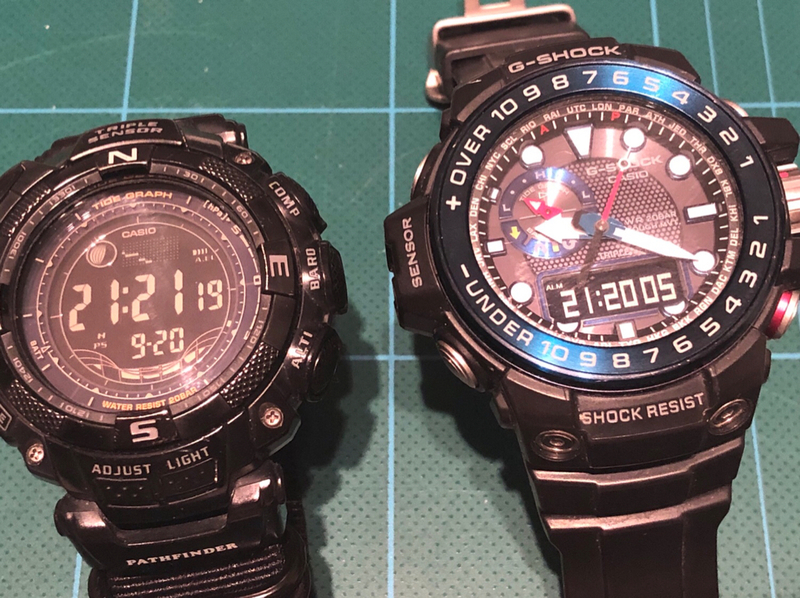 The cost of them new and more so the v2 is right up there and I’ll probably not end up buying a new Casio again simply because of the high price and massive value drop. But I dare say I will always have one for the durability of them. Going to miss the Zulu on the Protrek though, the gulfie’s are proprietary strap only which gives me the heebie jeebies come boarding time! Last edited by cyma; 07-10-18, 09:47. All times are GMT+12. This page was generated at 00:50.